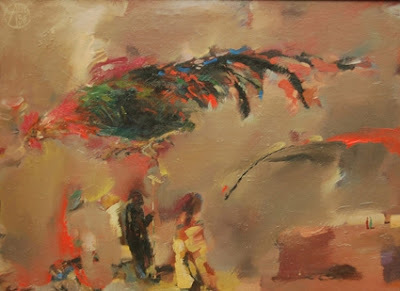 In this article she introduces us to the Samarkand painter Alexei Sherbakov. Artists have always been inspired by the beauty and light of Uzbekistan, its people as well as its monuments. Samarkand artist Alexei Sherbakov is one such artist. Born in the village of Juma, near Samarkand, his early years were marked by a spinal injury and long stints, sometimes years, in hospital. 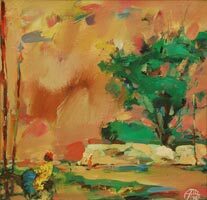 However, in 1971, he entered Tashkent's famous classical art college named after Pavel Benkov. After graduation, he worked as an artist and designer in the workshop of the Art Fund, attached to the Samarkand branch of the Academy of Arts, Uzbekistan. Since then he has exhibited extensively. 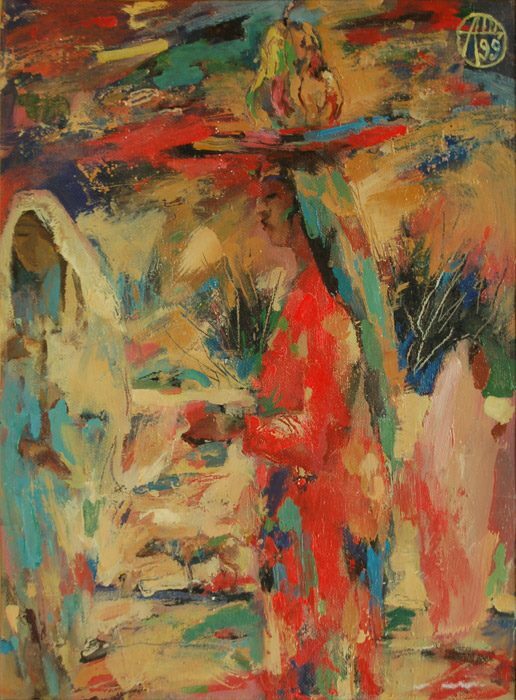 Sherbakov's works, in oil, acrylic, water colour and on textiles, display his lifelong fascination with Uzbek culture and traditions, mixed with his own experiences of village life, suffering and joy. The artist has an incredible ability to describe every gesture and pose and to penetrate the essence of a character. 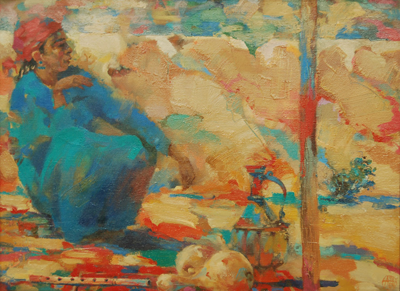 His palette is notable for being bright and abundant – a reflection of the brilliance of Uzbek bazaars. Yellow, brown and green are his favourite hues, punctuated with a sudden red or blue. Alexei Sherbakov is a master of the wet-on-wet technique, which lends the paintings an improvisational style, capturing a moment in this timeless landscape. His works are found not only in the state galleries of Uzbekistan and Russia, but also in private galleries in Japan, Argentina, USA, Great Britain, and Europe. I invite you to view some pieces of below. Please contact Suzanna if you would like further details about Alexei Sherbakov.